The route of the Ultra Extreme Trail is the toughest, but also the most beautiful circular cours that we offer you. It stretches through the most picturesque areas of the National Park “Fruska Gora”. During the race, you will have the opportunity to feel all the challenges of the trail run (technically challenging parts of the track on rocky and earthy surfaces, dense forest, moving at night and difficult conditions). 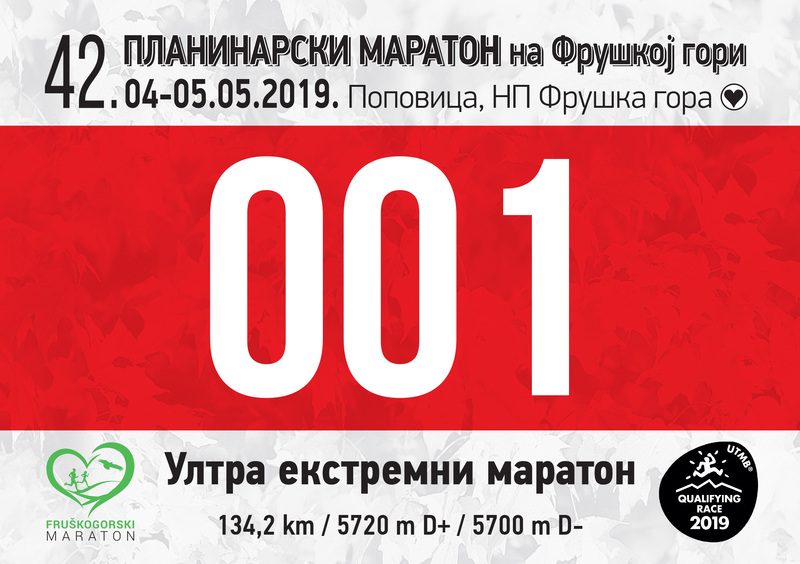 Start and Finish of the race are on Popovica (a favorite excursion place for the citizens of Novi Sad). Along the path, you will have the opportunity to see and go through numerous medieval Serbian monasteries: Grgeteg (XV century), Staro Hopovo (XVI century), Novo Hopovo (XIV century), Jazak (XVI century), Besenovo (VIII century). You will see the concrete construction of a television relay destroyed in the NATO bombing in 1999 (the so-called TV tower), Ethno village “Vrdnik Tower”, overtake numerous streams, climb to the highest peak of Fruška gora (539 m) and descend down the waterfall of the Dumbovo stream. The 134.2 km long cours with D+/- 5.720 m does not seem to be difficult, but believe us to be rightly called the Ultra Extreme Trail. It brings you 5 UTMB points!